In the early hours of 11 March 1845, several hundred Ngāpuhi fighters attacked Kororāreka (Russell). While the settlement had declined since the capital moved from nearby Okiato to Auckland in 1841, it was still the fifth largest town in New Zealand and a major trading and ship-provisioning centre. 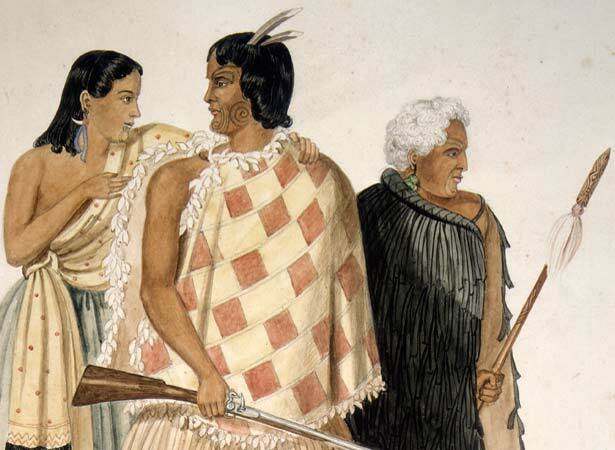 Hōne Heke and Kawiti were key figures in the attacking forces. Their motives for fighting were complex. Heke wanted the Māori-language version of the Treaty of Waitangi to be honoured. He also wanted to preserve Māori independence and chiefly authority in the face of what he saw as increasing interference by the government. The one-gun battery and two blockhouses defending the settlement were quickly captured. For a fourth, and final, time the British flag on Maiki Hill was cut down. Heke did not wish to harm the settlers, most of whom were evacuated to the ships Victoria and Active, which were anchored in the harbour. Heke and Kawiti had achieved their objectives, and there was only a desultory exchange of gunfire until the powder magazine at Polack’s Stockade was accidentally blown up by its defenders early in the afternoon. The troops then abandoned the town, which HMS Hazard began to bombard. Māori took this as licence to plunder. The British ships sailed for Auckland next day, effectively surrendering Russell to Heke and Kawiti. Between a dozen and 20 men had been killed on each side. The fall of Kororāreka was a serious blow to the British, who lost an estimated £50,000 worth of property. We have 22 biographies, 11 articles, related to The fall of Kororāreka .